January 24, 2018 – A&D Medical has partnered with Health Recovery Solutions (HRS) as a device provider in their Telehealth platform. This telehealth solution is currently being utilized in a pilot program at Fredrick Memorial Hospital (FMH) called the Chronic Care Management Program (CCMP). Patients enrolled in the CCMP program, to date, have experienced a reduction of nearly 90% for hospital readmissions and almost 50% fewer emergency visits. These shifts are making an impact for the patients in the program. On average, their cost of care has been reduced by 52%. The CCMP program is designed for patients with a variety of chronic conditions, such as hypertension, diabetes, and COPD. 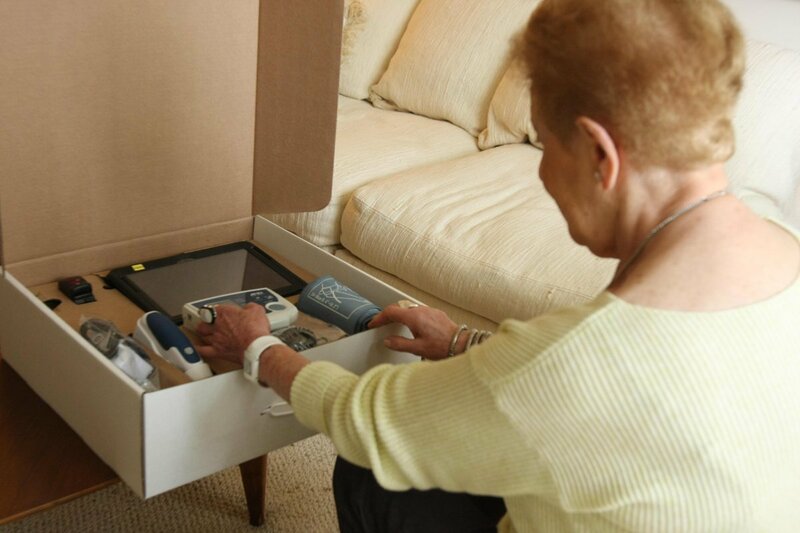 Participants use tablets loaded with HRS software, combined with Bluetooth biometric devices, such as A&D Medical blood pressure monitors, to not only send their health data to their provider, but to receive real-time nursing visits via video, phone and/or chat options. Read the full article here. Or to learn more about how A&D Medical can help solve your Telehealth needs, please contact us.